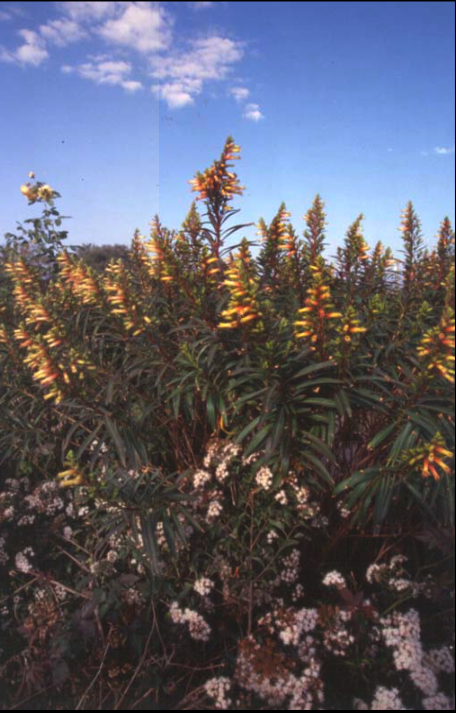 A majestic cuphea up to 4′-5′ tall with a full, mounding growth habit. It’s covered with 4″-6″ long, shiny, dark green leaves topped with 10″ of orange & yellow tubular-shaped flowers late summer & fall. Very drought tolerant once established. Prefers full sun & good drainage. Hummingbirds!